For the 1961 adventure film, see Rome 1585. I masnadieri (The Bandits or The Robbers) is an opera in four acts by Giuseppe Verdi to an Italian libretto by Andrea Maffei, based on the play Die Räuber by Friedrich von Schiller. 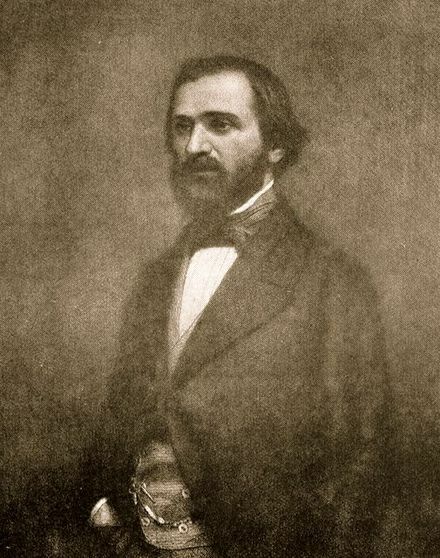 As Verdi became more successful in Italy, he began to receive offers from other opera houses outside the country. 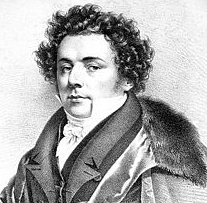 The London impresario Benjamin Lumley had presented Ernani in 1845 and, as a result of its success, commissioned an opera from the composer which became I masnadieri. It was given its first performance at Her Majesty's Theatre on 22 July 1847 with Verdi conducting the first two performances. While reasonably successful there and in Italy up to the mid-1860s, the opera disappeared for about 90 years until revived in 1951. It has been revived from time to time in the 21st century. In 1842 Lumley took over the management of Her Majesty's Theatre, the traditional home of Italian opera in London. Three years later Verdi's Ernani received its first British production at his theatre to great public acclaim, which convinced Lumley that he should commission an opera from Verdi, who was by then emerging as Italy's leading composer. Initially, the opera was to be Il corsaro based on the Byron poem of 1814, The Corsair . Verdi accepted Lumley's proposal and production was scheduled for the world premiere of the new opera in the summer of 1846. Unfortunately, Verdi's health deteriorated and the premiere of the new work had to be postponed until 1847. 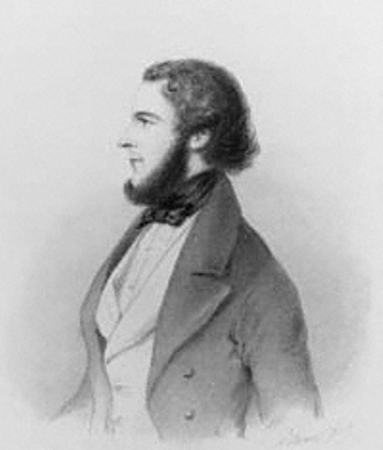 Andrea Maffei was an Italian poet, translator and librettist. He was born in Molina di Ledro, Trentino. A follower of Vincenzo Monti, he formed part of the 19th-century Italian classicist literary culture. 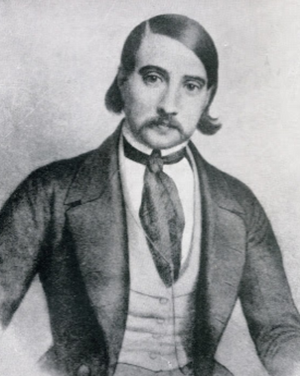 Gaining laurea in jurisprudence, he moved for some years to Verona, then to Venice and finally to Milan, where in 1831 he married contessa Clara Spinelli. They separated by mutual consent on 15 June 1846. 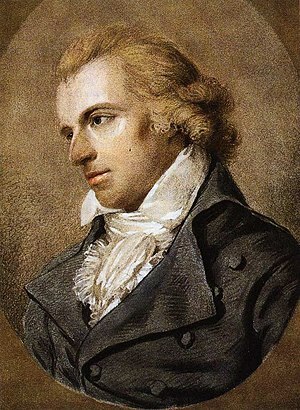 The Robbers is the first drama by German playwright Friedrich Schiller. The play was published in 1781 and premiered on 13 January 1782 in Mannheim, Germany, and was inspired by Leisewitz' earlier play Julius of Tarent. It was written towards the end of the German Sturm und Drang movement, and many critics, such as Peter Brooks, consider it very influential in the development of European melodrama. The play astounded its Mannheim audience and made Schiller an overnight sensation. 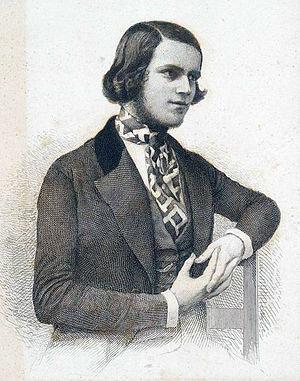 It later became the basis for Verdi's opera of the same name, I masnadieri. Lumley had assembled a cast of the highest international standard, specifically the Swedish coloratura soprano Jenny Lind, who came to create the role of Amalia, the opera's heroine. Thus, this opera became the highlight of her first season in England. After considerable persuasion Verdi agreed to conduct the premiere on 22 July 1847 and also conducted the second performance and after Verdi's departure, it was given two more times before the end of the season. 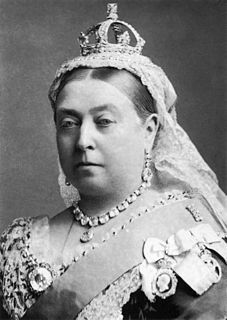 Queen Victoria and Prince Albert attended the first performance, together with the Duke of Wellington and every member of the British aristocracy and fashionable society who was able to gain admission. The word coloratura is originally from Italian, literally meaning "coloring", and derives from the Latin word colorare. When used in English, the term specifically refers to elaborate melody, particularly in vocal music and especially in operatic singing of the 18th and 19th centuries, with runs, trills, wide leaps, or similar virtuoso-like material. Its instrumental equivalent is ornamentation. It is also now widely used to refer to passages of such music, operatic roles in which such music plays a prominent part, and singers of these roles. From the 1970s on, the work has begun to reappear in the repertoire. A staged production in 1972 at the Rome Opera was recorded that November, with some outstanding singers of the era who included Boris Christoff, Gianni Raimondi, Renato Bruson and Ilva Ligabue. In New York, a concert performance was given by the Opera Orchestra of New York in February 1975. Other 1970s examples include a September 1976 performance in the Coliseo Albia in Bilbao, with Matteo Manuguerra and Cristina Deutekom appearing in major roles. La Scala in Milan presented the opera in 1978 under Riccardo Chailly. Time: between 1755 and 1757. 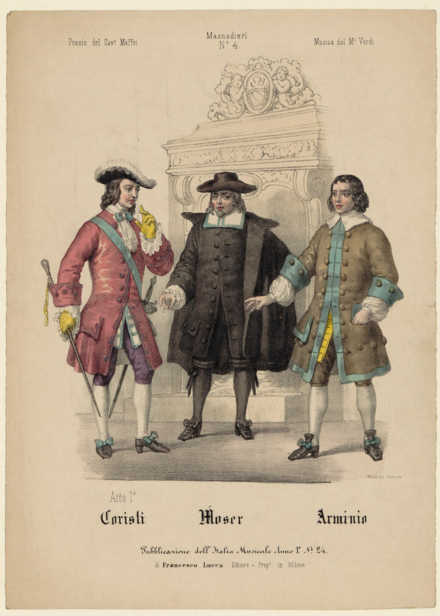 Act I Costumes: Chorister, Moser, and Arminio. Scene 1: A tavern on the borders of Saxony. During a break from his studies at Dresden University, Carlo, the elder and favourite son of Count Massimiliano Moor has fallen amongst thieves, literally. He has become a member of a notorious gang of highwaymen and cut-throats who terrorise the local community by robbery, extortion and rowdy singing at all hours of the day and night. But already Carlo has tired of living a life of depravity and longs to return home to be with Amalia, his gentle cousin and lifelong sweetheart (O mio castel paterno / "O castle of my fathers"). He is awaiting the reply to a letter he has sent to his father begging for forgiveness for his recent misdemeanors. Rolla and the other robbers arrive with the longed-for reply from the Count. Carlo's joy soon turns to sorrow, and then anger (Nell'argilla maledetta / "Let my wrath plunge these swords into the accursed clay"), as he finds that the letter is not from his father but from his younger brother Francesco, who warns him not to return home because, far from having forgiven Carlo, the old Count is intent on punishing him and locking him away. Carlo renounces his former life and swears an oath to remain with his new comrades for the rest of his days. The robbers unanimously elect him as their new leader. Scene 2: A room in Count Moor's castle in Franconia. Francesco is congratulating himself on having intercepted the letter from his brother to their father, knowing that Massimiliano would certainly have forgiven Carlo if he had received it. Now only the elderly, infirm Count stands between Francesco and the family title and estates, and he has devised a plan to hasten his father's death (La sua lampada vitale / "The lamp of his life burns low"). He forces Arminio, one of the castle servants, to disguise himself as a soldier recently arrived with tragic 'news' of Carlo's death, and sings his cabaletta, Tremate, o miseri / "Tremble, you wretches, you shall see me in my true terrible aspect". Scene 3: Count Moor's bedroom in the castle. Amalia is watching over the ailing Count. Each of them is thinking affectionately of the missing Carlo (Lo sguardo avea degli angeli / "His face had the smile of the angels"). Francesco ushers the disguised Arminio into the room. Arminio describes how he fought alongside Carlo for King Frederick in a battle for the city of Prague, and how he saw him mortally wounded. Carlo's final act in this world was to inscribe a message, using his own blood, on the blade of his sword, that Amalia and Francesco should marry. 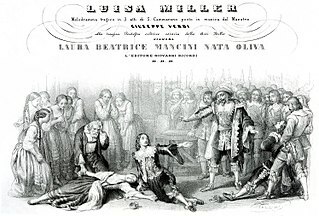 Amalia and the Count are completely taken in; Massimiliano falls into a dead faint and Amalia, in a frenzy of hysteria, rushes offstage leaving a jubilant Francesco. Scene 1: A graveyard near the castle. Several months have passed since the previous scene and Amalia enters to pray at Count Massimiliano's tomb (Tu del mio Carlo al seno / "Blessed spirit, you have flown to the bosom of my Carlo"). In the distance can be heard the sounds of a festive banquet hosted by Francesco, the new Count. Arminio has followed Amalia from the castle because he is overcome by guilt at his part in Francesco's wicked scheming. He just has time to reveal that both Carlo and the old Count are still alive (provoking Amalia's cabaletta Carlo vive? O caro accento / "Carlo lives? ... O sweet words") before he is disturbed by the arrival of Francesco and forced to flee the scene. Francesco has also been searching for Amalia with the intention of asking her to marry him. Her scornful refusal provokes him into a rage and he becomes violent. 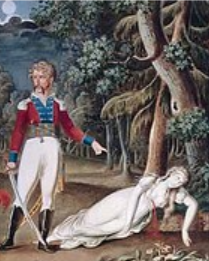 Amalia pretends a change of heart and embraces him so that she can seize his dagger and fend him off before making her escape into the nearby forest. Scene 2: A clearing in a Bohemian forest. Rolla has been captured in Prague and the brigands are awaiting the return of their leader, Carlo, who has gone to rescue him. The rescue is achieved, but at the same time Carlo has managed to set fire to much of the city, resulting in armed citizens pursuing him. The scene ends with Carlo exhorting his gallant band to fight like wolves to save themselves. Scene 1: A clearing in a Franconian forest. The robbers sing of the pleasures of their criminal activities. They are now in the same forest as the distraught Amalia. Amalia fails to recognise her betrothed when he approaches her. Carlo reveals his identity, without mentioning his comrades, and there is a joyous reconciliation. Carlo is horrified when he learns of his brother's unsuccessful attack on her virtue. Scene 2: Another clearing in the Franconian forest. Carlo is alone and contemplates his dismal future (Di ladroni attorniato / "Surrounded by robbers, fettered to crime"). He considers suicide, but decides that he must accept his dreadful fate and live on in loneliness and misery, reviled by all decent people. Arminio enters stealthily and approaches some nearby ruins. Hearing a voice within the ruins, Carlo investigates and discovers the emaciated figure of his father. Massimiliano fails to recognise his son, but nevertheless describes to him how Francesco attempted to bury him alive after his collapse on hearing of Carlo's death (Un ignoto tre lune or saranno / "An unknown - it will be three moons ago now - told me that my Carlo had been killed"). Fortunately Arminio saved him and has kept him hidden in the ruins where Carlo has found him. Leaving the Count, Carlo calls on his band to storm the castle and capture his evil brother. Scene 1: Another room in Count Moor's castle. Francesco wakes after terrifying, guilt ridden nightmares (Pareami che sorto da lauto convito / "I fancied that, having risen from a sumptuous banquet, I was sleeping ..."). He summons the local priest who refuses him absolution for his heinous crimes. At this point the brigands are heard storming the castle and Francesco rushes out, swearing that he will defy the very fires of Hell. Scene 2: The second clearing in the Franconian forest. Massimiliano bewails Carlo's death, although he still does not recognise that the man standing in front of him is his favourite son. He blesses the "unknown stranger" for saving his life. The robbers reappear and report that they had not been able to capture Francesco. This pleases Carlo who intends to change his ways. At this moment Amalia is dragged in by the brigands. Carlo is forced to admit to her, and to his father, his role as leader of the robbers. Massimiliano expresses his horror and despair, but Amalia declares that despite everything she still loves Carlo and wants to stay with him. Although Carlo has sworn to change his ways, he has also given his oath of lifelong allegiance to his band of robbers. He cannot allow the woman he loves to be dragged down into his world of degradation and disgrace and he cannot escape his own evil fate; he resolves this paradox by stabbing Amalia to death. Carlo rushes offstage claiming he is going in search of his own death. I masnadieri is scored for piccolo, flute, two oboes, two clarinets, two bassoons, four horns, two trumpets, three trombones, cimbasso, timpani, bass drum cymbals, harp, and strings. ↑ Budden, pp. 316–317: Budden expands on the reasons behind Lind's hesitations about coming to London, one of which was due to a threat from Bunn, the manager of the Drury Lane Theatre, to have her arrested upon arrival in England for not fulfilling a contract he had negotiated with her. Eventually, all was worked out. ↑ San Diego Opera's performance history Archived 2015-09-25 at the Wayback Machine . ↑ "I masnadieri - 30 September 2002 Evening". ROH Collections. Retrieved 26 March 2018. ↑ 2013 "Festival Verdi" announcement on the company's website Archived 2009-03-06 at the Wayback Machine . ↑ I Masnadieri in Frankfurt Opera Archived 2011-09-28 at the Wayback Machine . ↑ "I masnadieri". Operabase. Retrieved 26 March 2018. ↑ List of singers taken from Budden, p. 314. ↑ "I Masnadieri". Naxos Records. Retrieved 15 June 2014. Basevi, A. (1859), Studio sulle opera di Giuseppe Verdi (Italian), Florence, 1859 and Carteggi verdiani (Ed. A. Luzio), (Italian) Rome, 1935–1947. Portions translated in Baldini by Roger Parker. Marvin, Roberta Montemorra (Ed. ), I masnadieri, full score critical edition. Chicago & Milan: University of Chicago Press & Casa Ricordi, 2000. ISBN 0-226-85318-7 (University of Chicago Press), ISBN 88-7592-671-9 (Casa Ricordi). [http://operabase.com/oplist.cgi?from=01+01+2001&is=I+masnadieri&sort=DList of performances of I masnadieri] on Operabase .